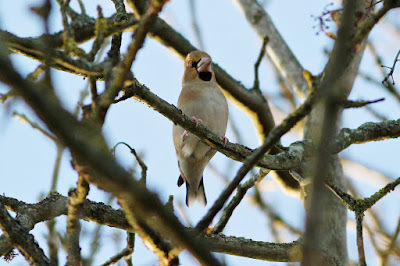 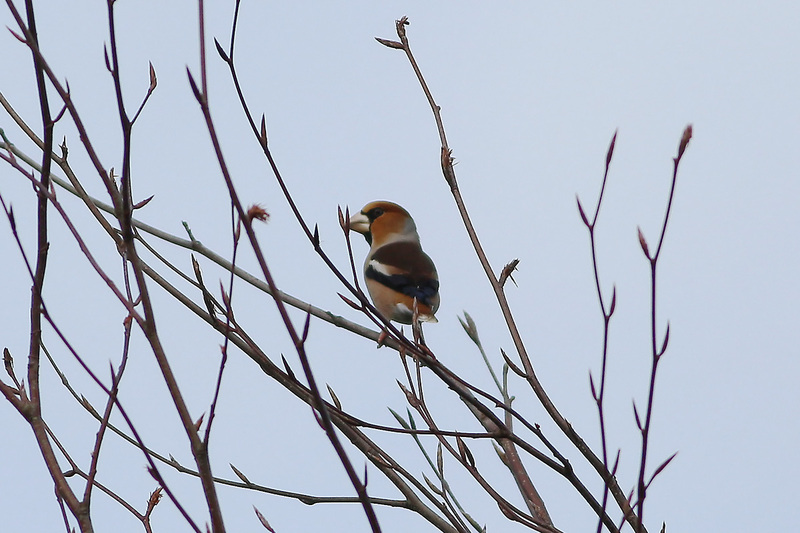 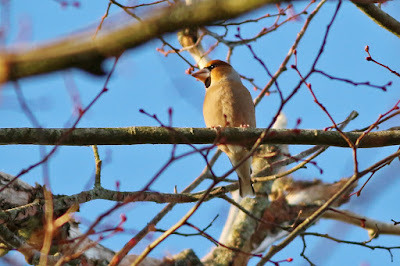 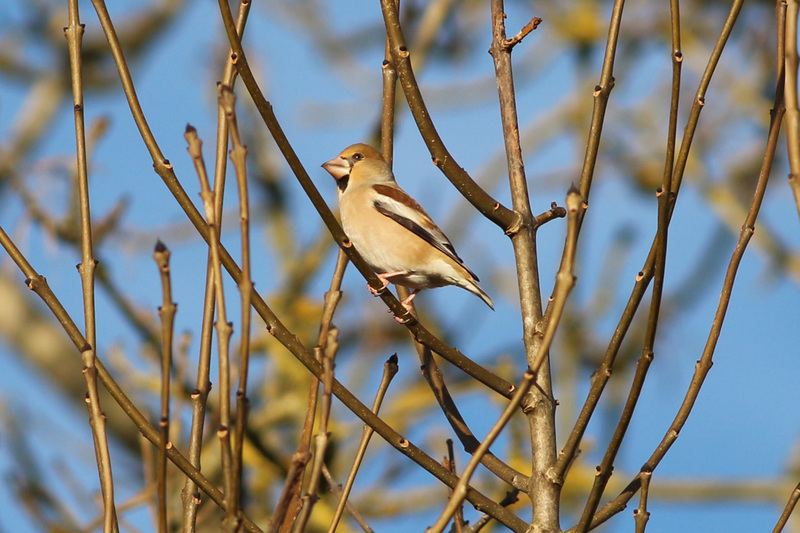 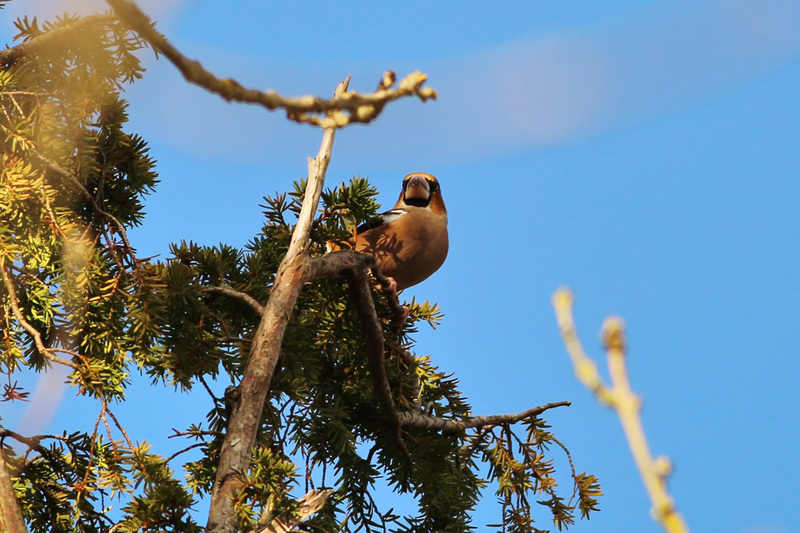 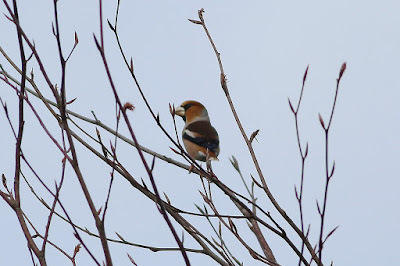 When we first noticed a trend on the Sussex Ornithology Society's recent sightings page of hawfinches being spotted all over the county in November, it didn't cross our minds that they would arrive here. But arrive they did, on the 9th December, with 5 birds feeding in the yew tree over the road, bringing our total species count at Feathers to 97. 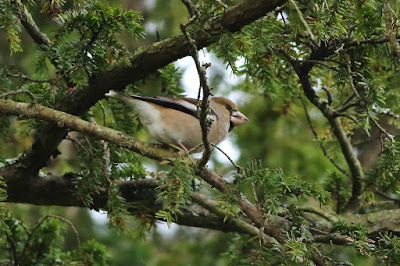 Little did we know they'd still be here after nearly 2 weeks, still the 5 of them feeding with greenfinches. A very special bird and a great tick for our list.